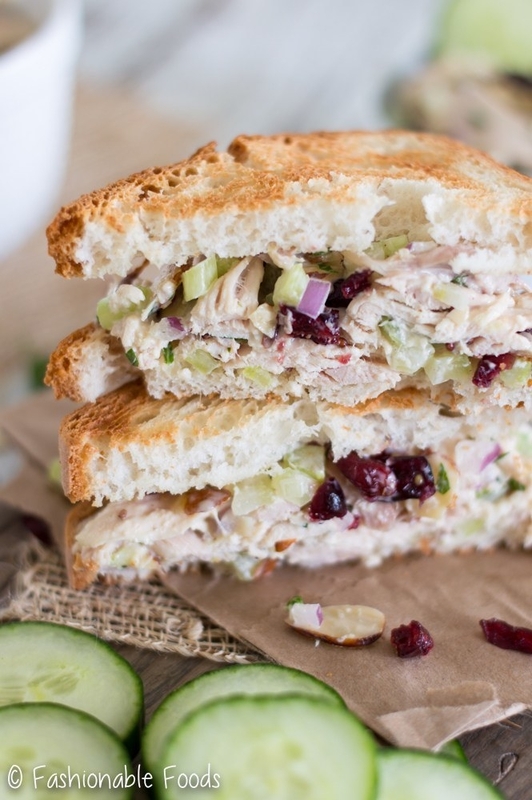 Load up your favorite bread with butter, leftover sliced turkey, stuffing, cranberry sauce, and your favorite kind of cheese and warm it all up in a panini press. Make sure to leave some extra gravy for dipping. Get the recipe. 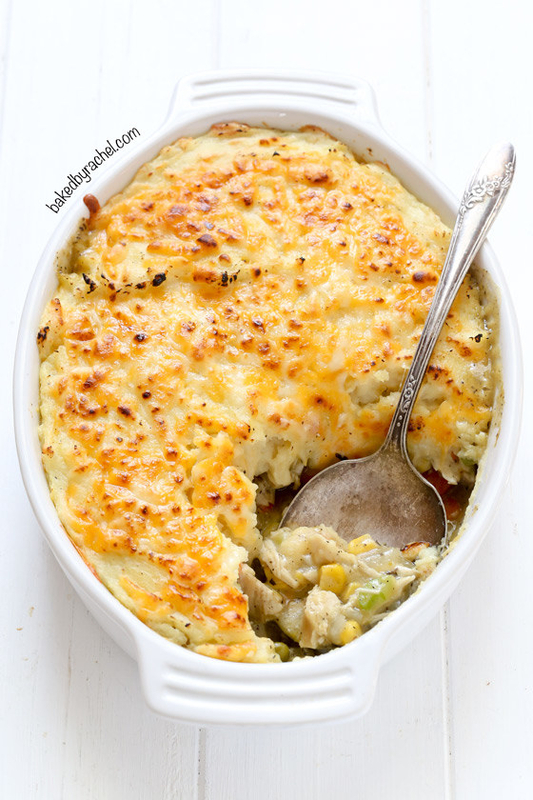 When life hands you leftover turkey and mashed potato, make this post-Thanksgiving comfort food. Get the recipe. 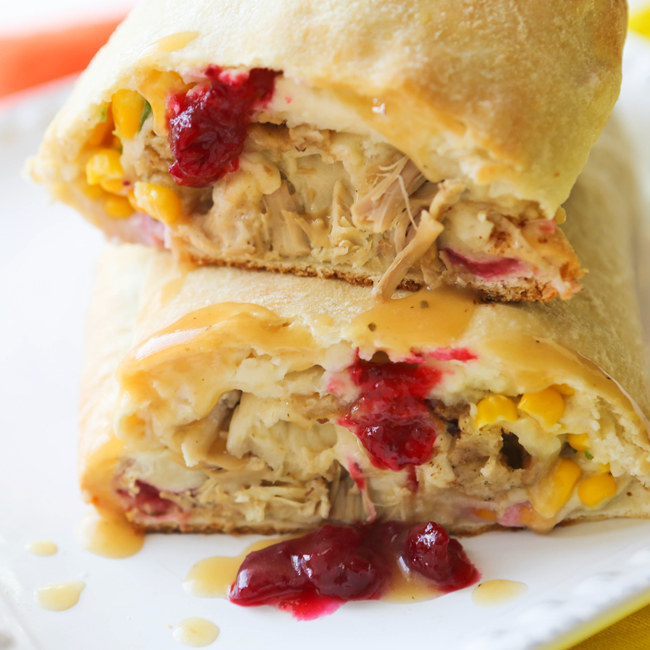 Fill some flour tortillas with leftover turkey, tangy cranberry sauce, and whatever type of cheese you have on hand. Get the recipe. Post-Thanksgiving breakfast has some big shoes to fill. 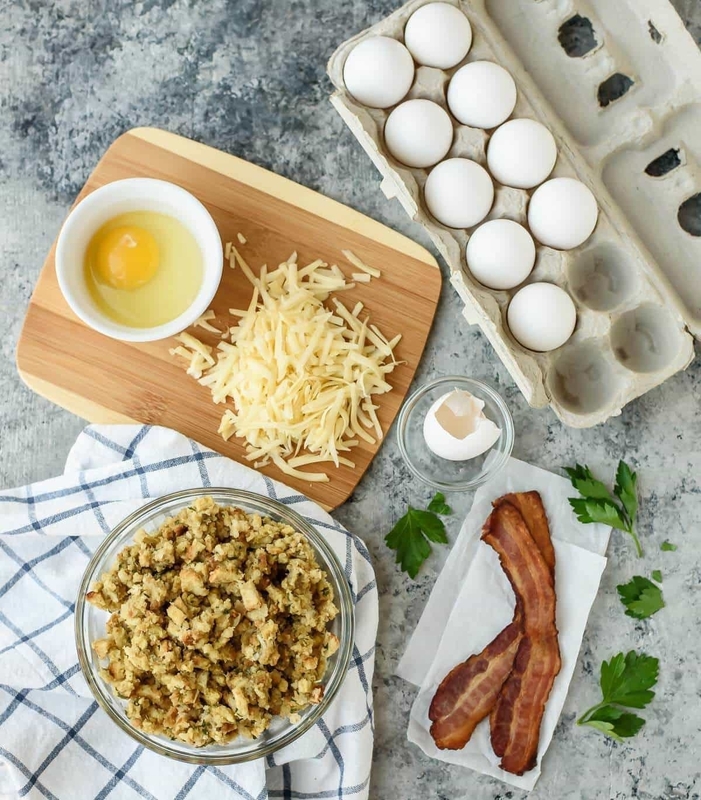 These easy breakfast cakes come together with just three ingredients: Leftover stuffing, eggs, and cheese. Serve them plain or topped with anything from sliced avocado to fried eggs. Get the recipe. The best past about this "lasagna" is you can layer it with any leftovers from your holiday table like Brussels sprouts, mashed sweet potatoes, cranberry sauce, turkey, and stuffing. A healthy serving of leftover gravy makes this dish moist and delicious. Get the recipe. 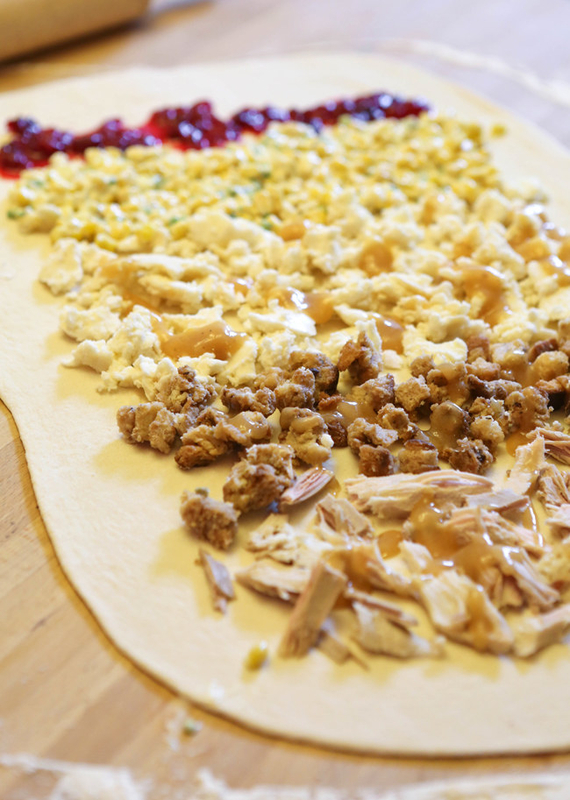 Roll up all your favorite Thanksgiving dishes in store-bought pizza dough. 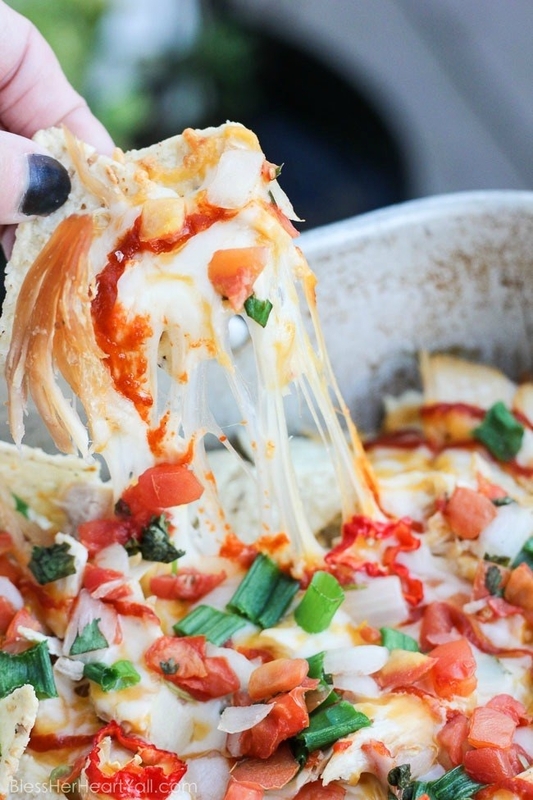 Pop it into the oven for 30 minutes and prepare for a masterpiece. Get the recipe. This perfectly portioned stuffing muffins couldn't be easier. Just mix together extra turkey, stuffing, cranberry sauce and gravy with a few eggs and some chicken stock and bake until golden brown. Get the recipe. Your family never had a shot at making a dent in that 20 pound turkey. 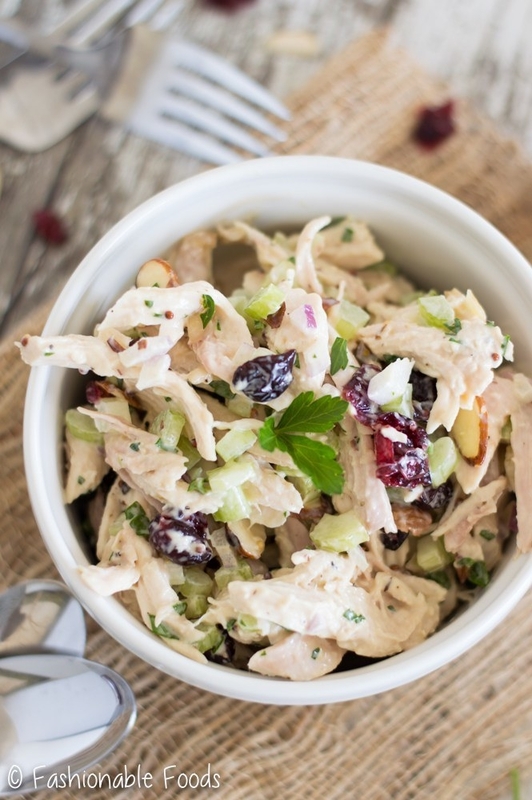 Put the leftovers to good use with this sweet and tangy turkey salad. Get the recipe. These dinner rolls are loaded with all the fixings and baked until warm and melty perfection. Get the recipe. Start with store-bought puff pastry crust and fill it with shredded turkey, mashed potatoes, and really anything else you put on your holiday table like green bean casserole, creamed corn, and stuffing. Get the recipe. 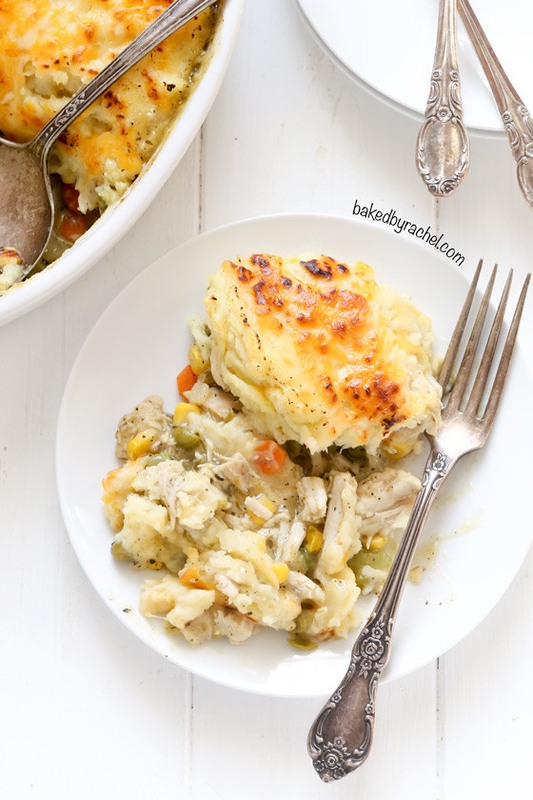 What happens when you combine pot pie, noodle casserole, and Tshanksgiving dinner into one? 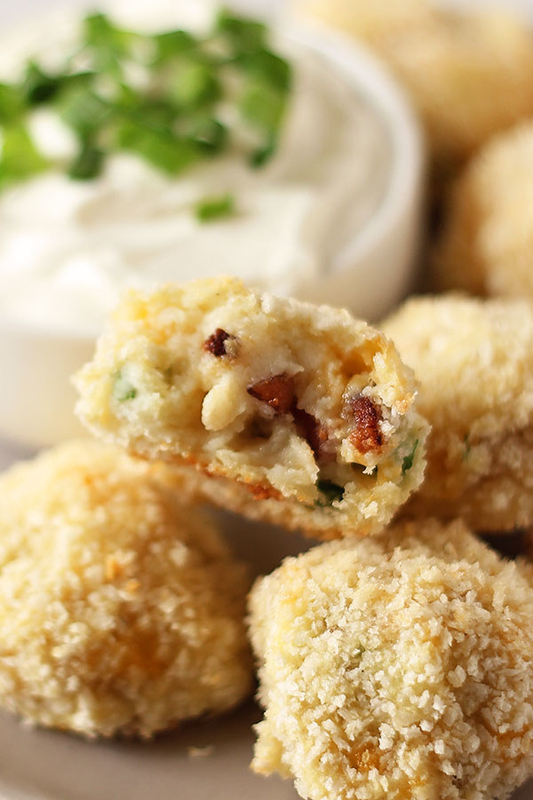 This droolworthy, crispy-on-the-outside-creamy-on-the-inside dish. Get the recipe. This easy, filling chowder comes together in about 30 minutes. You can even make a big batch and freeze it for later. Get the recipe. 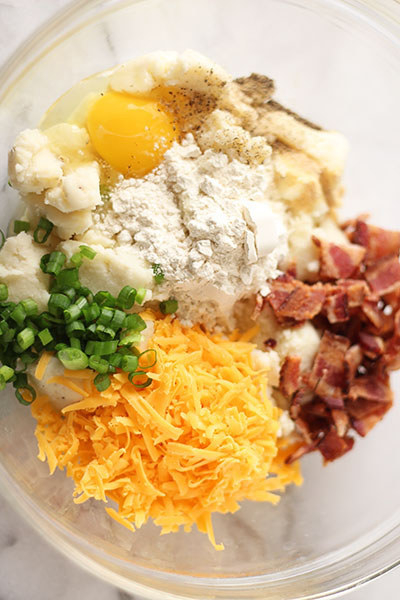 Load up your leftover mashed potatoes with bacon, cheddar cheese, green onions, and spices. Then bread them in panko and bake them until gooey and crispy. Get the recipe. Sliced Thanksgiving turkey > any deli meat ever. Get the recipe. This rich and indulgent soup is made with shredded turkey, tons of veggies, potatoes, chicken broth, and heavy cream. Do the right thing and top your bowl with some leftover stuffing. Get the recipe. If you still have a crowd to feed after Thanksgiving dinner, these easy egg rolls are a foolproof party pleaser. Just wait until they try the cranberry mustard dipping sauce. Get the recipe. 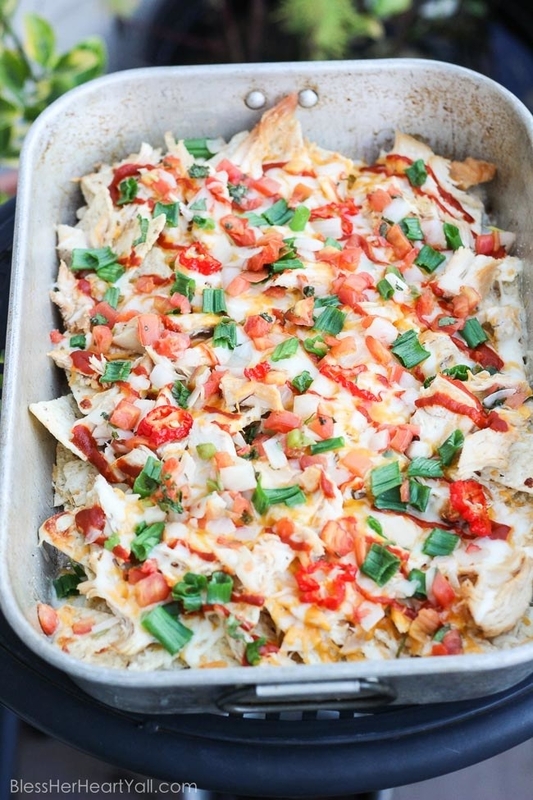 Start with tortilla chips, add leftover shredded turkey and any of your favorite nacho toppings. There are no rules here. Get the recipe. 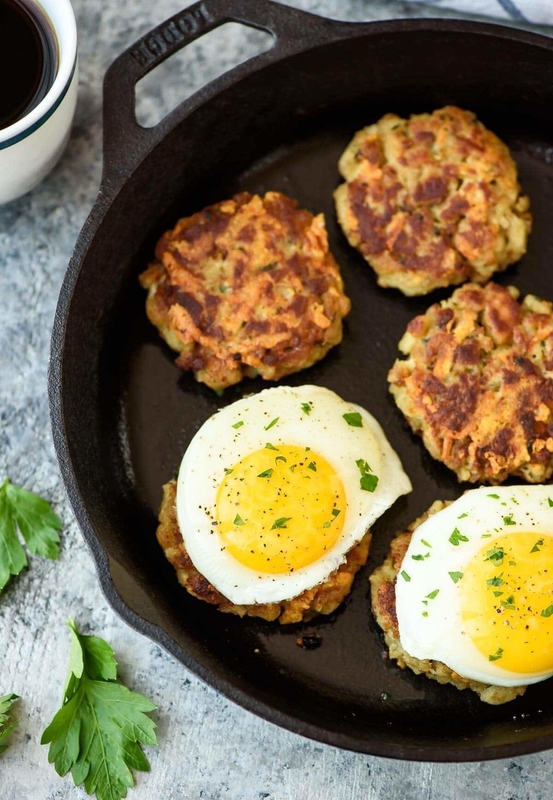 This breakfast may seem fancy, but it's insanely simple to make. Just fill a few ramekins with leftover stuffing, crack an egg into each, and drizzle them with cream, salt, pepper, and Parmesan cheese. Then bake them in the oven until the yolks are set. Get the recipe. All you need is store bought pie crust, leftover mashed sweet potatoes, and marshmallows to make this three-ingredient dessert. Get the recipe. If you're craving something lighter after a heavy Thanksgiving meal, look no further than this easy frittata made with leftover turkey, spinach, and mozzarella. Hey, did you know you can put stuffing in your waffle iron? Yuuuup. Get the recipe.